Oil on Gallery Wrap Canvas. 16" x 20". (This is the left side of a dyptich) Price of original is for both pieces. 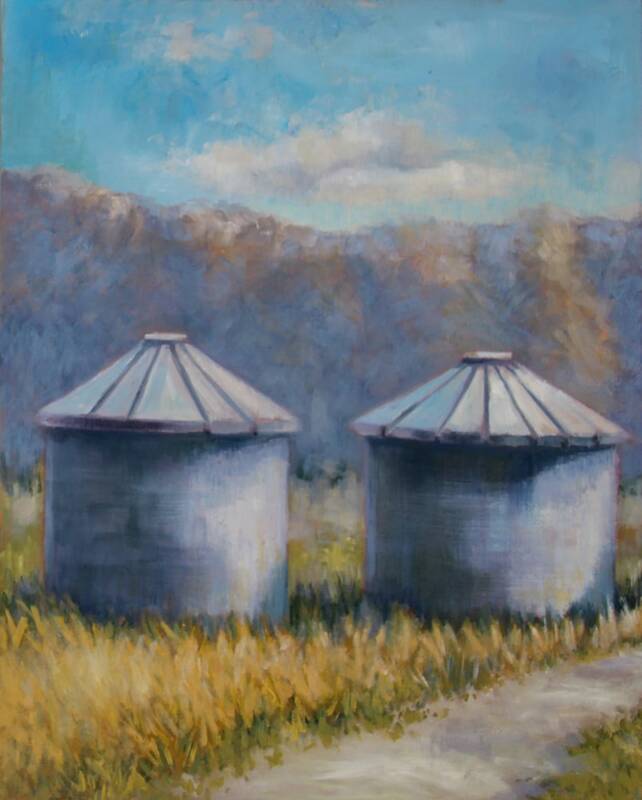 of grain bins stand like sentinels in the Montana Landscape, paying homage to the farmer and the hard work that he does.